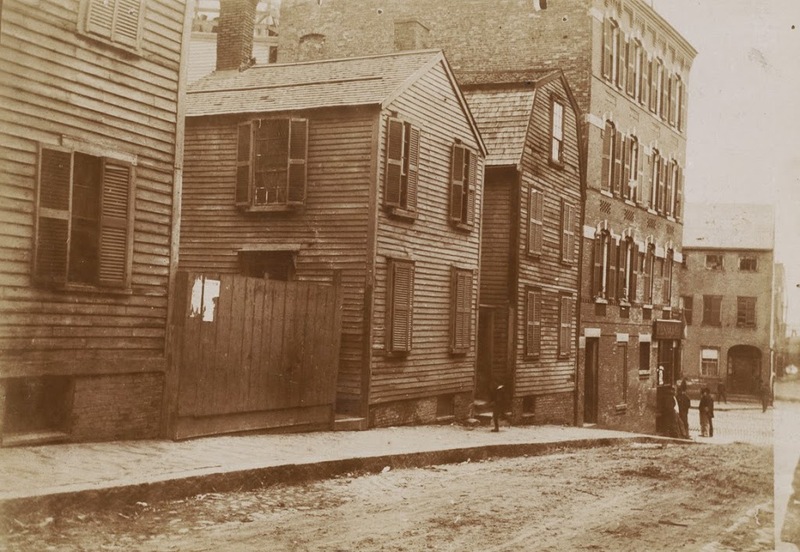 Looking down Henchman Street in Boston’s North End, toward Commercial Street, in 1893. Photo courtesy of Boston Public Library. The brick building at the corner of Henchman and Commercial Streets hasn’t changed much, aside from the bricked-up storefront at the corner and a newly-added fifth floor. The rest of the area is very different, though. In the intervening years, the older wooden homes were replaced with early 20th century tenement buildings, and on Commercial Street the Atlantic Avenue Elevated Railway came and went. 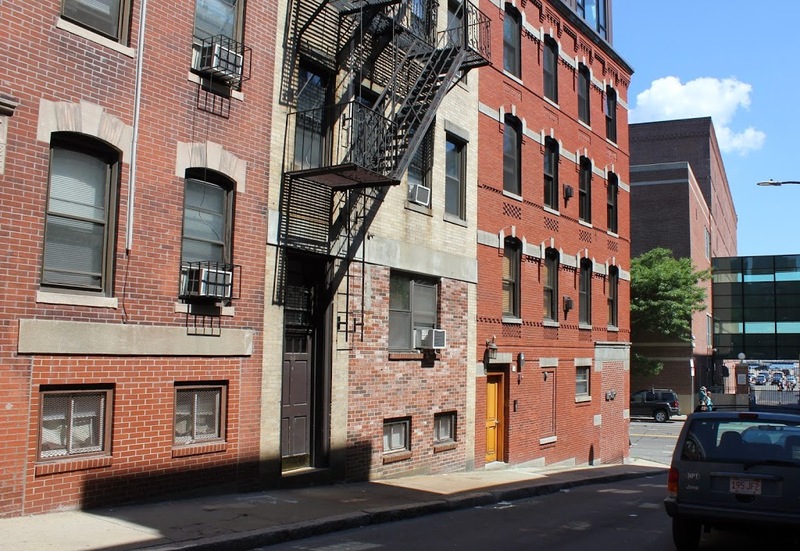 The North End is very different today than it was 120 years ago, although much of the area retains its old street network, including the curiously-named Henchman Street, which today is a narrow one-way street connecting Charter Street with Commercial Street. As an etymological aside, when this street was named, the word “henchman” did not carry the same negative connotations that it does today about people who carry out the bidding of an evil person. Instead, a henchman was simply a member of a royal court – the negative usage didn’t come until the 19th century.